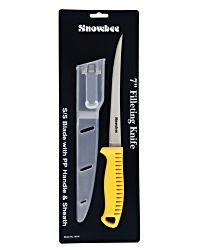 A good quality 7" filleting knife from Snowbee. 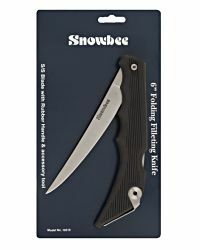 This filleting knife has a high grade stainless steel blade and a rugged 'ribbed' polypropylene handle to provide a secure grip even when wet. - A 7" High Carbon 420 grade Stainless Steel Blade. 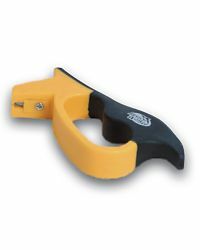 - A 'ribbed' polpypropylene handle provides a secure grip and easy to clean. - A clear plastic sheath with a spring belt clip.